With Facebook pouring more resources into its Live feature, the social media site is about to expand the service beyond just video streaming. The company on Tuesday announced “Live Audio,” which, as the name suggests, will bring audio-only live streams to the platform. “We know that sometimes publishers want to tell a story on Facebook with words and not video. We’ve even seen some Pages find creative ways to go live and reach audiences with audio only by using the Facebook Live API or by adding a still image to accompany their audio broadcast. Our new Live Audio option makes it easy to go live with audio only when that’s the broadcaster’s preferred format,” Facebook wrote in the blog post. The company will be testing the feature over the next few weeks with select partners, including the BBC World Service, LBC, Harper Collins, and authors Adam Grant and Brit Bennett. Facebook says Live Audio will be an especially useful alternative for publishers trying to broadcast video in areas with poor internet connectivity. Listeners will be able to leave comments and reactions, and share the audio with friends. 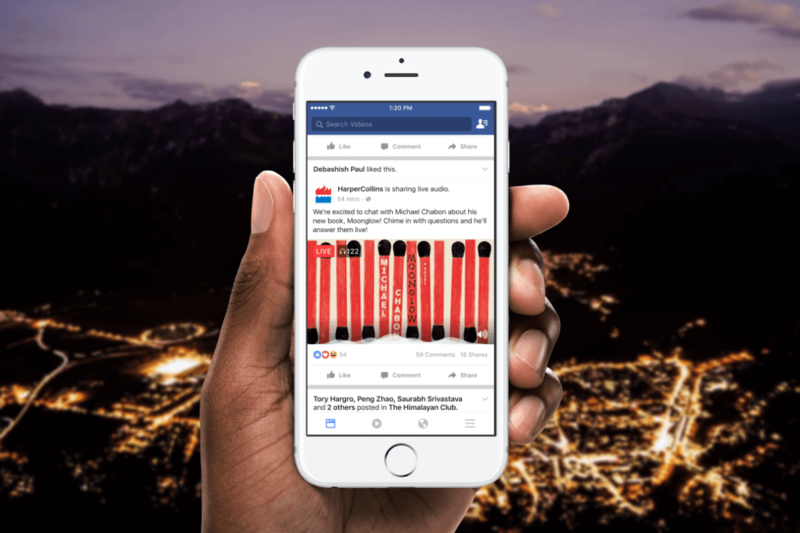 Live Audio will be rolled out to Facebook users and more publishers early next year. The news will no doubt be welcomed by podcasters who could potentially reach a much larger audience. It also allows people who prefer not to appear in front of a camera a quick and easy way to make broadcasts on Facebook Live. As with Live Video, you’ll be able to access Live Audio through the news feed. Android owners will be able to listen to the broadcasts outside of the Facebook app, and can even hear them from their lock screen. iOS users, meanwhile, can listen to the Audio from various sections of the site.